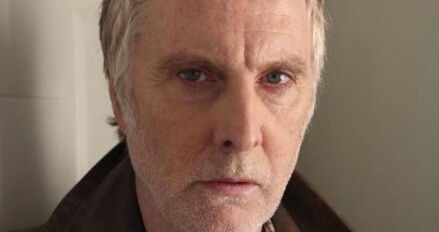 David Threlfall and John Simm are to lead the cast of new ITV drama, Code Of A Killer. Produced by World Productions and written by Michael Crompton (Kidnap & Ransom), Code of a Killer is based on the true story of Alec Jeffreys’ discovery of DNA fingerprinting. David Threlfall takes the role of David Baker who between 1983 and 1987 headed up the investigation into the brutal murders of two Leicestershire schoolgirls, Lynda Mann and Dawn Ashworth. John Simm plays Dr Alec Jeffrey, a scientist at Leicester University who, on 10 September 1984, invented a remarkable technique to read each individual’s unique DNA fingerprint. When a local teenager admitted to one of the murders but not the other, Baker asked Jeffreys to analyse the DNA evidence left at the crime scenes. Both men were shocked to discover that the teenager was innocent, his confession false. DCS Baker then took the extraordinarily brave step to launch the world’s first ever DNA manhunt, testing over five thousand local men to track down the killer. The drama will also feature Lorcan Cranitch (Penny Dreadful), Robert Glenister (Spooks), Siobhan Redmond (Between The Lines), Anna Madeley (Sense & Sensibility), Dorothy Atkinson (Call The Midwife), Andrew Tiernan (The Great Fire), Jaz Deol (Restless Dust), Hannah Walters (Whitechapel), Lydia Rose Bewley (The Inbetweeners) and Ged Simons (Downton Abbey). Both retired Professor Sir Alec Jeffreys and former Detective Chief Superintendent David Baker have given their input to the drama. Code Of A Killer begins filming at the end of September 2014 in Leicester and London.